The folks over at WinFuture.de have published what they claim are official renders of the Galaxy S10e, the smallest of the three Galaxy S10 models, after leaking official renders of the S10 and S10+ yesterday. 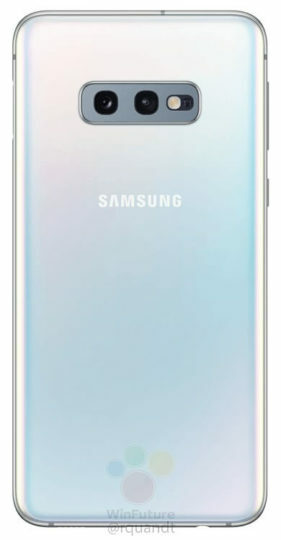 The site believes the S10 will get an “e” added next to the 10, and it supports recent rumors that Samsung isn’t going for the Lite moniker. The Galaxy S10e pictures show us a flat display with no curves on the left and right, and, frankly, it makes the phone look a bit like the iPhone X. And that may be a deliberate decision, especially if Samsung wants it to compete with the new iPhone XR. Things like a side fingerprint sensor embedded into the power button, a dual camera setup at a back, and a single front camera (inside a cutout in the screen) are also further corroborated in these renders. The S10e will reportedly be priced at €750 (with 6GB of RAM and 128GB of storage), and will come in black, green, and white at first. A blue variant will come later, and so will a yellow option, something we had exclusively said would be, well, exclusive to the smallest S10. 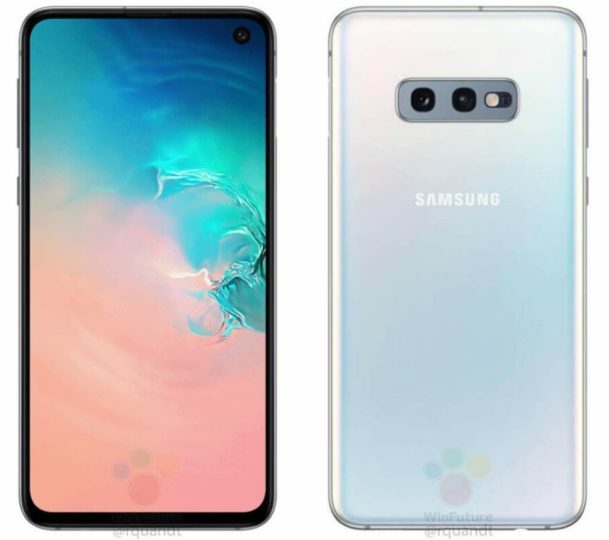 Check out the renders below, and tell us what you think about the Galaxy S10e. Would you prefer this over the Galaxy S10 and S10+ going by the latest renders and leaks? Definitely prefer this over the S10, flat screen and even side and top bezels. Now only of the chin could be even, shouldn’t be impossible because the iPhone X looks to have similar sized bezels like this. 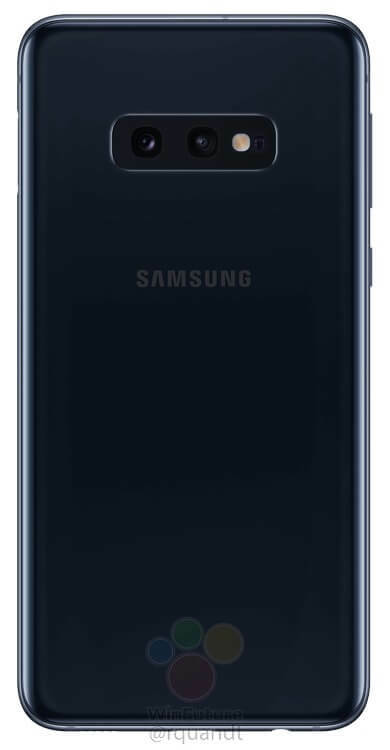 Ive gone off Oled after suffering screen burn on my S8, so I would like a flat (to take a tempered screen protector) 5.8″ ips lcd display. Ip68, sd card slot. With the top end chip, 6 gig ram 128gb storage. All for around £550 please. I’ve had a Mate 20 Pro on test for last 10 days, and must say I prefer my S8. The lust for bigger and bigger screens is getting silly imo. If the phone is going to be roughly the size of the iPhone 8 but full screen. This is actually a tempting offering especially not we know it has 6gb ram 128 storage, dual camera. might have been a good time to bring back the Galaxy R moniker from a few years ago. Explain more becasue I’m not in. This is what the s9 should have been. 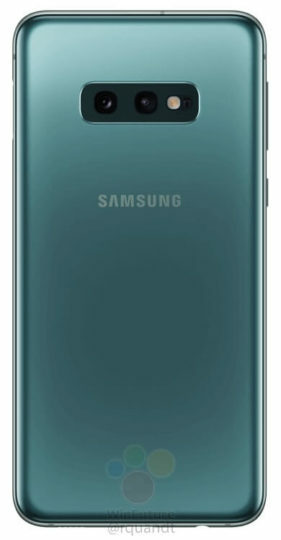 I think it will be a good seller for people who want a compact model (but don’t have small hands and can’t afford one). Specs size and size makes it definitely a good option! S10 is looking like cheap Chinese phones, with big chin and non symmetrical bezels, except for the price (overpriced) that’s why S10 lineup will be a sales failure. Doesn’t look like a side mounted FPS, they’re usually like, indented in the frame, jus looks like their ordinary power button. Also, the way this looks, it cannot be more than £600. Do you se other pictures than me? There is definetely an indent on the right side. A few will say it’s looks like an iPhone. As for the phone… It looks like an iPhone XR, it’s overpriced like an iPhone XR, it’s compromised like an iPhone XR… It will flop like the iPhone XR. The XR was apples best selling IPhone, the s10e offers a ton more than the XR so it might do very well. XR was appels best seller becaus apple coustomers dont have anything cheeper to buy from apple. It is still horible looking and bad spected phone. S10E will be the same. No one will want to pay for hole in the screen a premium price so they will opt for the ugley cheeper sester. BTW… S10 in all variants look bad. Staying with my S8 for another year. 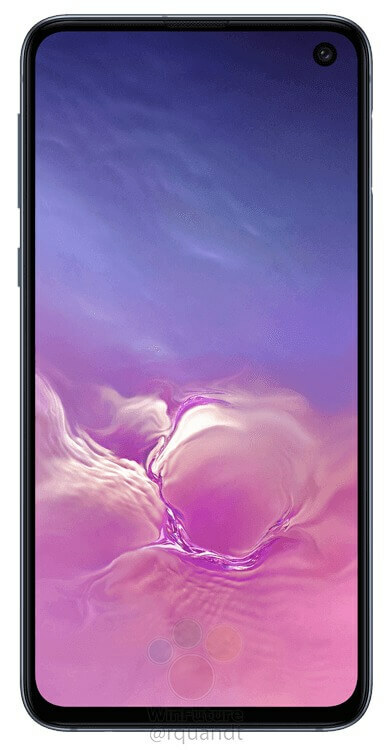 Dont know how OPPO could made a nice looking full screen phone FIND X. According to Apple. And it was still a sales flop. Which just means the XR sold more than the XS and XS Max making it “their best seller”. 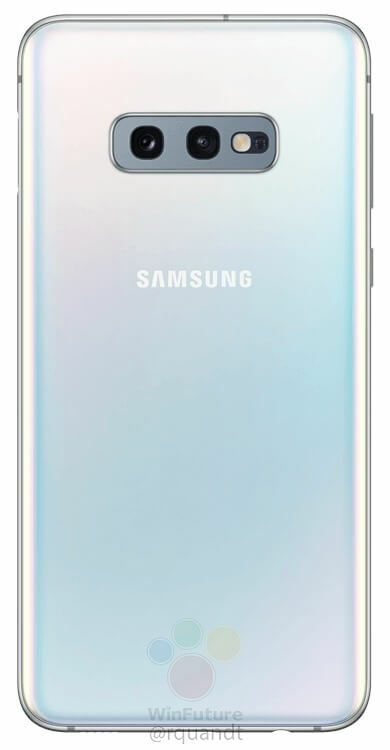 This will likely sell better than the S10 and S10+. That doesn’t mean it will sell better than the S9. Because it won’t. The entire S10 line will continue the trend of the past 3/4 years of selling worse than their predecessors. Don’t know why you bother, if you don’t like the phone then simply don’t look up information about it and go buy your Sony. You can be exclusively one of the 3 million people who bought one of their phones.